Last Saturday, the accordion- and fiddle-course, given by Eric & Chantal from the Belgian Cajun-band “Little Cailloux”, was great! We all learned a lot and everything happened in a real nice atmosphere. Being to little on the fiddle and always wanting to have that little box to squeeze on my knees, I chose for the accordion-course. And when I heard the very talented ladies (from Belgium and Switzerland) playing the fiddle on “Je l'ai Rencontree”, based on Eddie LeJeune’s version, I could here Chantal also did a wonderful job on the fiddle course. With such talented musicians, Little Cailloux, must be a wonderful band; so I’m really lookin’ forward to see & hear them on stage. Mamou Cajun Band on dvd! 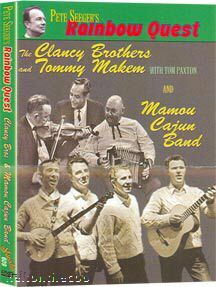 If everything went as planned, a 120 minute-DVD with the Mamou Cajun Band and “The Clancy Brothers and Tommy Makem” (Irish 60’s folk) should be available since yesterday March 22nd, 2005. This DVD is officially released by Koch Vision Home Entertainment. The Mamou Cajun Band is the traditional three-piece ensemble of legendary accordionist Cyprien Landreneau, his cousin Adam Landreneau on fiddle, and percussionist Revon Reed on the triangle. Featuring traditional hard-hitting two-steps and sorrowful waltzes, the Mamou Cajun Band was one of the first groups to bring cajun music to a wider audience, playing the Newport Folk Festival and touring Europe in the early 1960's. "Where you got them shoes" is the 3rd CD from these Pennsylvania based Zydeco rockers. 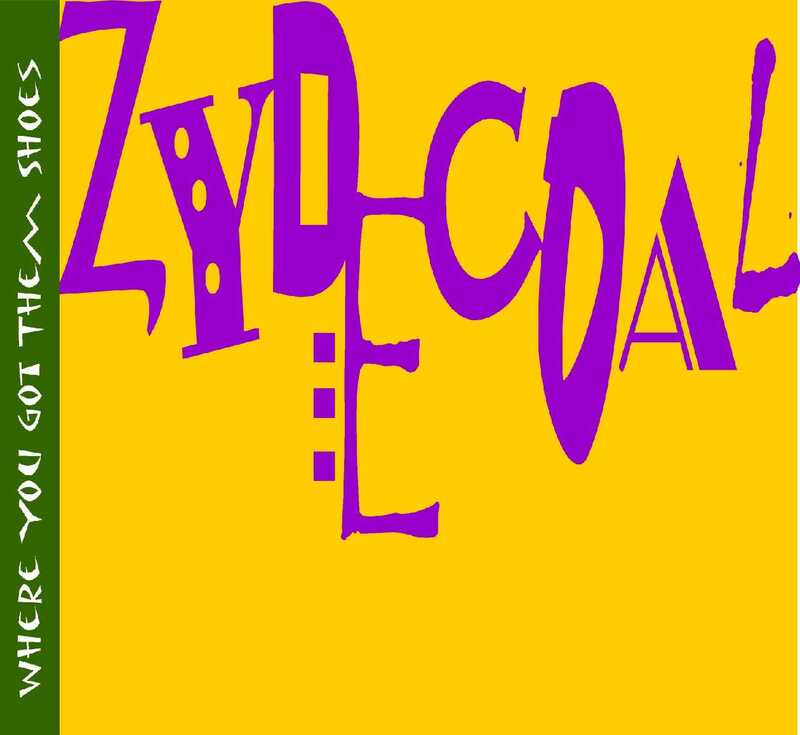 The CD starts out with “Au Revoir Lafayette”, which is a fresh Zydecoal-original with a tasty Cajun flavor. Following is some nice Zydeco-rock with Buckwheat Zydeco’s “I.R.S.” and some great roots-rock with “Our Last Night”, originally from Los Lobos. The last one is a perfect song to listen to, while driving on the highway (accompanied by a six-pack)… Zachary Richard is represented with “Take Me Away” and “New York to Bayou” is a bluesy track from Filé (originally known as “One Foot In The Bayou”). The CD keeps a-rockin’ with Roy Montrell’s soulful “O Wow” and Willy DeVille’s “Keep Your Monkey”. Another well own written track is following with “Back Door Open”, which is a real nice Swamp Pop-ballad and the third original on the CD is “Bug Up”, a typical Zydeco-track. I shouldn’t say I agree with the lyrics of C.J. Chenier’s “Women are smarter”, but I agree it’s a fine Zydeco-song to close out this real good CD from this real good band. Cajun Pioneers' band leader died. Accordion player and band leader Luitger Fräger (from the German Cajun Pioneers) died in a car accident on February 11th. 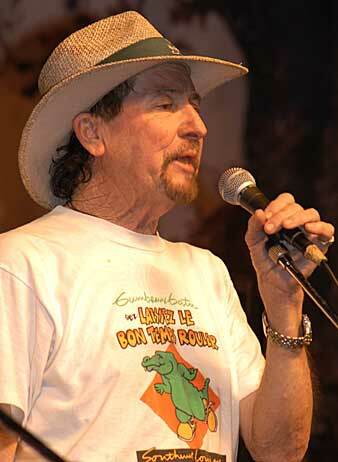 John Leger from the Debris Cajun Band sadly informed us that his triangle player Frank Pickett died February, 7th 2005. Our condolences to his family, the band and all his friends. On Saturday 2nd and Sunday 3rd April 2005, you have the possibility to take some fiddle and accordion lessons in Saint-Gilles, Brussels. Chantal Boulanger (fiddle) and Eric Zborowski (accordion), both from Belgian traditional Cajun & Canadian band “Little Cailloux” will be glad to teach you the Candadian style on Saturday and the Cajun style on Sunday. Having a lot to learn on my cajun accordion, I’ll surely be there. 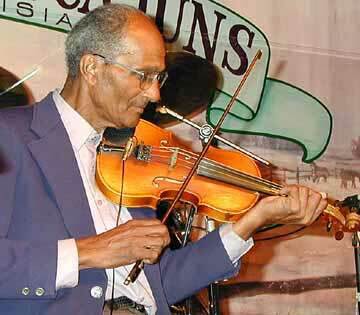 Creole fiddler Carlton Frank died at age 74. 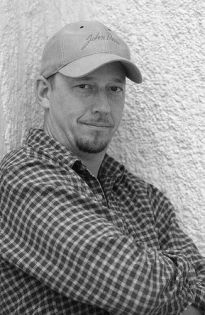 Carlton “Nonc Loy” Frank died on the night of 6th February 2005 at the American Legion Hospital in Jennings, Louisiana. His funeral was on Saturday, 12th. February. According to his wife, Mary Frank, he died from complications due to emphysema, a disease he battled for 35 years. Carlton was one of the Creole fiddlers, who played the old-time French two-steps and waltzes that laid the foundation for modern Zydeco. Carlton Frank also recorded with nephew Preston Frank and great nephew Keith Frank. Jivin’ Gene (Gene Bourgeois) was born in Port Arthur, Texas, on February 9, 1940. In 1959, he wrote and recorded the classic Swamp Pop ballad "Breaking Up Is Hard To Do" with the Jokers. This song (also done by Bruce Channel) is not to be confused with the Neil Sedaka hit of the same title from 1962. Gene’s music became a major influence on the Louisiana Swamp Pop sound. Kevin Naquin & the Ossun Playboys are "Never Satisfied"
Kevin Naquin & the Ossun Playboys is probably the most busy Cajun act from today’s Louisiana music scene. Shortly after their very successful last C.D. “Bayou Groove”, they released “Never Satisfied” for Swallow Records. The first track “T’es Jamais Satisfait” (“You’re Never Satisfied”) is a self-penned rockin’ Zydeco- song, with French and English lyrics. A real dance-floor killer. “La Dernier Demande”, “Dans Tes Yeux Ce Soir” and “J’ai Envie De Fair L’amour” are 3 other originals on this CD. These beauties (a waltz and 2 two-steps) were co-written with the legendary Johnnie Allan. Among with Sidney Simien’s Zydeco-song “No Good Woman” and some real fine waltzes from Cajun stars such as Belton Richard, Adam Hebert and Nathan Abshire, Kevin also added his own temporary versions of the well-known Cajun classics “Vas-Y-Carrément” (“Step It Fast” or also known as “T’en As Eu, Mais T’en Aura Plus”), “Lacassine Special” and “Les Flammes D’Enfer”. 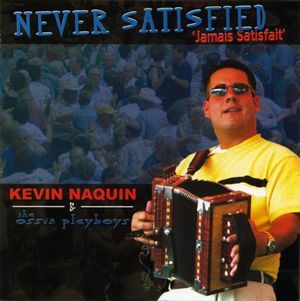 “Never Satisfied” is another real fine CD by Kevin Naquin and his band, with a lot of variation (slow and up-tempo songs, modern and more traditional sounding tracks, …). 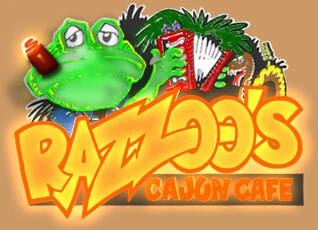 If you're hungry for some Cajun food and if you don't have enough gas to drive to Cajun Country... well you can pay a visit to Razzoo's Cajun Cafe. See the link for the addresses. I haven't been there myself yet but the menu looks great and I have the T-shirt, which smells o.k.